The Internet connection we all rely on is about to change, now that WISP is coming to town. Most people get Internet service from either a telephone company or a cable company because those providers already provide physical connections to their homes and businesses. A WISP (wireless Internet service provider) doesn’t need to bring wire to your location, making it a good solution for serving rural areas where telcos and cable companies couldn’t be bothered to invest. WISP was unable to match the speed and reliability of DSL and cable modems, however, until recently. As wireless technology has evolved, WISPs are beginning to compete in urban areas on speed and price. Here’s how it works. A WISP is distinct from other wireless services we currently use. Most cell-phone service providers offer wireless Internet service—with 4G LTE being the fastest current technology—but that doesn’t make them WISPs. Cell-phone service providers don’t expect you to use their service 24/7, and most place very low caps on the amount of data you can transfer over their networks each month (and charge hefty fees if you exceed that amount). Being able to access the Internet while you’re out and about is a distinct advantage, but LTE data rates are relatively slow, and coverage can be spotty—especially away from large metropolitan areas. Wireless Internet service providers (WISPs) use tower-mounted antennas to transmit and receive radio signals, much as cellular service providers do. Satellite TV providers that also provide wireless Internet service, such as Dish Network, are closer to being WISPs. 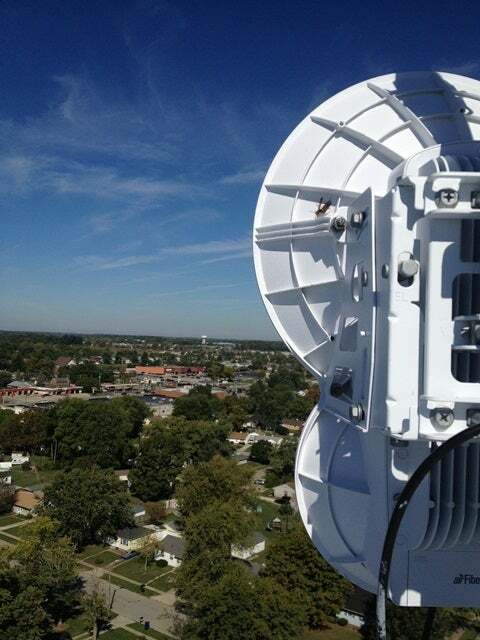 They can deliver wireless Internet service to any home that has a clear view of the southern sky. But the data must travel very long distances, which limits the service’s speed, and lag can be a big problem—especially for playing games. A true WISP is a mix of cellular provider and satellite provider elements. Like a cell provider, it mounts antennas on towers (or atop buildings) to transmit signals, and it installs an antenna—or in some cases, a dish—on the customer’s home or building. Like a satellite service provider, it typically delivers service to a fixed location. Most WISPs offer tiered service levels, charging higher fees for faster speeds and/or more bandwidth. Like telcos, cable companies, and other ISPs, WISPs typically require you to commit to a one- or two-year contract, and they charge an installation or activation fee. Most WISPs are regional operators that serve limited areas. Netlinx, for instance, serves residential and business customers in southern Pennsylvania. The company’s prices for residential service range from $30 to $80 per month. At the low end, you get download speeds of up to 1 mbps, with speed bursts of up to 3 mbps. Upload speeds at this tier are 512 kilobits per second. At the high end, you get download speeds of up to 15 mbps (with bursts up to 30 mbps) and upload speeds of 3 mbps. The WISP will install a smaller antenna on the customer's home. Many WISPs provide faster upload speeds than the typical 5 to 10 mbps that most cable and DSL providers offer. That can be useful for businesses with remote offices, offsite PC or server backup requirements, or other applications where upload speeds are just as important as download speeds. Like other ISPs, some WISPs limit how much data you can use per month, but these limits tend to be more generous than what cell, satellite, and even some cable providers offer. A few, such as Wisper ISP (serving southern Illinois and eastern Missouri), provide uncapped service. Utah-based Vivint, a newcomer to the WISP market, is offering wireless Internet service at upload and download speeds of 50 mbps for just $55 per month. But the company—best known for its home-security/automation services—has only just begun to roll out its service, which is not widely available outside Utah. If you think a WISP might be a better option for you than your current ISP is, you can check a number of online directories to find a WISP that provides coverage in your area, including the WISPA Member Directory, WirelessMapping.com, and Broadband Wireless Exchange. Some WISPs provide a coverage map on their website. Others describe only the general coverage area, and you must call or fill out an online form to get coverage details for a particular address. The time when a WISP was an ISP of last resort—because nothing else was available in a particular area—is coming to an end. As the new class of WISP service spreads, the resulting competition should force telcos and cable companies to step up their game, cut their prices, or both!